and raised in a human household as a human child for exactly this purpose. subsequent moves weren’t so agreeable. 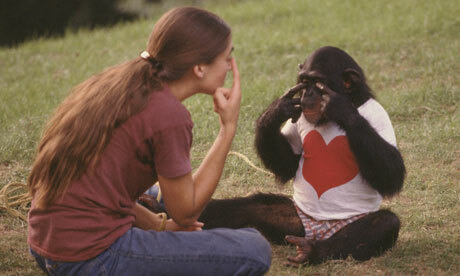 chimps to pharmaceutical companies for animal testing. by them when they abandoned him and forgive them when they came back. If anybody thought the talking chimp in Rise of the Planet of the Apes was freaky, Project Nim cranks the weirdness up a couple of thousand notches. of his cage and rising against the system that ruined his life. Director James Marsh won an Oscar for his previous documentary Man On Wire.